Apple shipped 3.977 million macOS units in Q1 2019, according to the latest data from market-research firm Gartner. That’s down 2.5 percent from the same quarter a year ago. 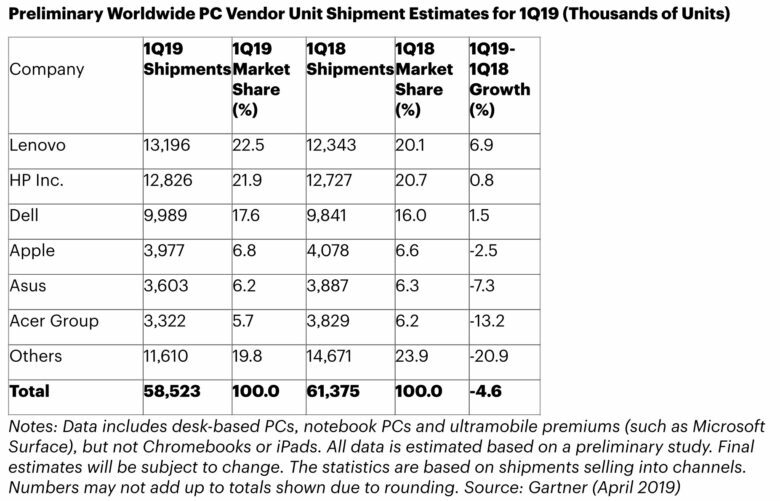 But combined shipments of all brands of PCs declined 4.6 percent year over year, so Apple’s share of the world market moved up from 6.6 percent to 6.8 percent. The Mac maker saw its share of the U.S. market grow from 12.6 percent to 13.0 percent in the last year. That’s despite a 3.5 percent decline in shipments, down to 1.4 million in this country. Apple’s share grew because, again, it didn’t do as bad as the PC market as a whole. 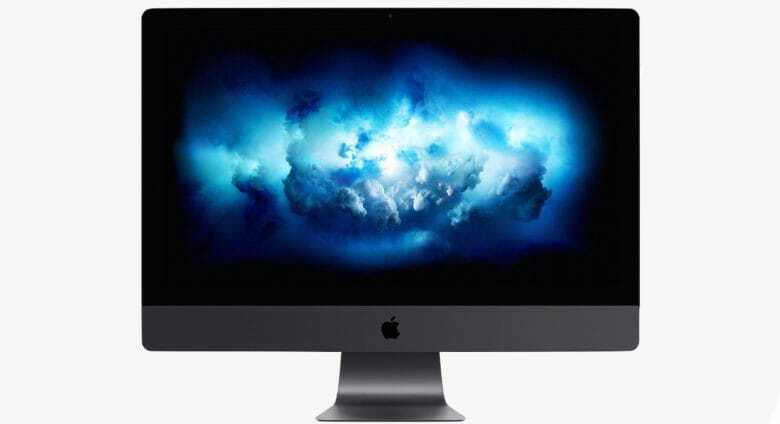 In fact, all the top 5 computer makers saw their shipments decline in America last quarter, according to Gartner. Apple is the fourth largest computer maker both globally and in the U.S. These figures include “desk-based PCs, notebook PCs and ultramobile premiums (such as Microsoft Surface), but not Chromebooks or iPads,” according to this research firm. If iPad sales were included in computers, the figures would be significantly different. Estimates for how many tablets Apple shipped during the first three months of 2019 aren’t in yet, but if they’re approximately the same as the 9.1 million iPads shipped during the same period of 2018, then the company’s total would hit 12 million. That would make Apple the third largest computer maker in the world, just a bit behind HP with 12.8 million units and Lenovo with 13.2 million units in Q1.